Accidents Happen! Call Clear Vision Auto Glass Today! Getting your vehicle as clean as possible with the smallest amount of hassle, headache and heartache is a lot more difficult than you might think. That is, washing your car is not an easy task. When properly done, a clean car is a car that looks great, stays protected and reduces the chances of corrosion over time. Done wrong, and you can wind up scratching your paint, damaging your windshield and leave water spots all over everything. And you thought there was nothing to washing your car. You put a lot of effort into making sure your ride looks good. The best way to do this is by paying attention to the details. 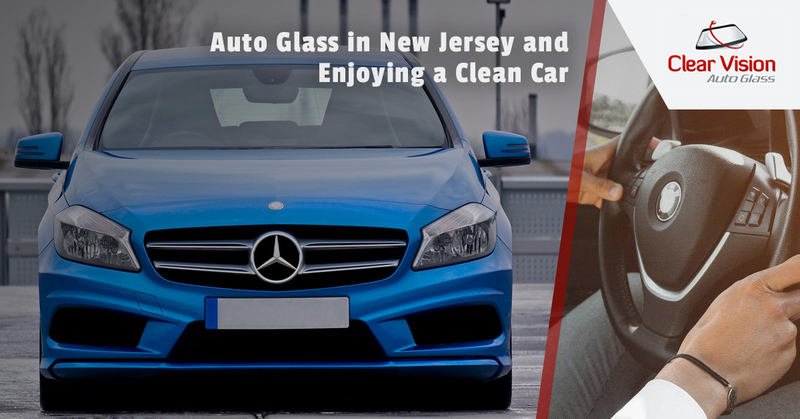 Clear Vision Auto Glass in New Jersey offers you tips on how to wash your car. Wear comfortable clothes that don’t have snaps and metal zippers as you will lean into your car as you wash it and these items could scratch the paint. Also, take off any jewelry before you start washing your car. Watches, rings, necklaces and belt buckles all pose a threat to your paint. Make sure you read and follow the directions on the car care products you intend on using. Some products have tips on how to achieve the best results while others have specific details that are important to understand. And just don’t use any old cleaner you happen to find in your garage, do a little research and get a trusted and proven product for the best results. If you happen to drop your drying cloth or washing mitt on the ground, forget it about it, man. It’s game over so just walk away. There are all sorts of small particles on the ground, and your wet towel and washing mitt are sure to pick some of them up. This means when you start washing or drying, you will leave a myriad of scratches on your paint and windshield. You will want to wash your mitt and towels thoroughly before using them again. Car washing experts caution against washing your car on bright and sunny days. One of the keys to a properly washed car is keeping it wet until you can properly dry it. This way, you won’t have spots all over your car. Keeping your car in the shade while you wash it helps keep it wet and therefore spot-free. One of the biggest car washing blunders is rinsing your dirty washing mitt or sponge in the clean suds bucket. Basically, all you are doing is putting the dirt and grime you just wiped off your car back onto it. The second bucket should be dedicated to rinsing your sponge or mitt after wiping down your car. Nothing is worse than a car that is clean on the outside and looks like a hurricane hit it on the inside. Take the time to toss the Burger King wrappers, vacuum the fries from the carpet and wipe off the chocolate shake stains on the seats. If you do happen to scratch your windshield while washing your car, give Clear Vision Auto Glass a call. for the PA, NJ, and DE Area. ©2019 Clear Vision Glass | All rights reserved.